Where to stay. What to do. Where to eat. When we departed Park City, our next destination was Grand Teton National Park, which was about 4 hours away. 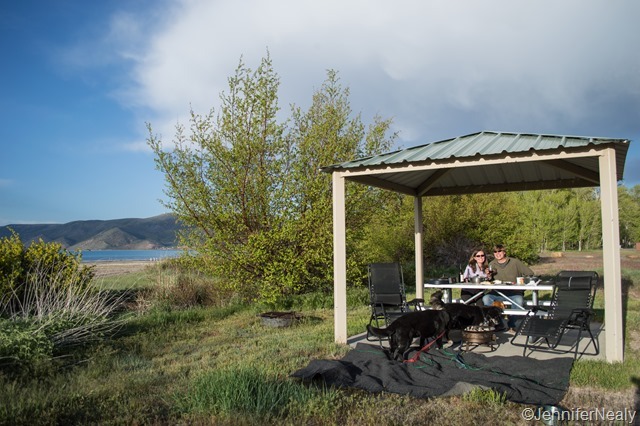 Instead of making the drive in one day, we decided to stay at Bear Lake State Park in Utah for a couple of nights. It turned out to be quite a treat! 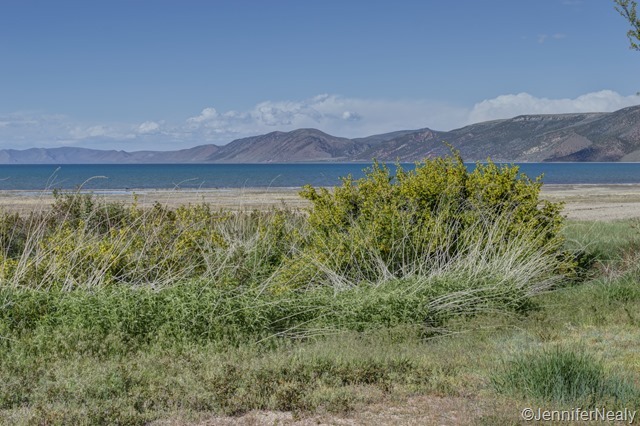 I had no idea how many beautiful lakes Utah has, and we were lucky enough to discover yet another one in Bear Lake. Bear Lake’s water was crystal clear turquoise blue. It is a big summer destination, and according to the ranger, during the summer the park is almost always full. However we were there early, and we pretty much had the entire park to ourselves. All of the sites of full hook-up and we selected one right on the lake. « First dip at Bear Lake.